Moustache marquee light: The Little Letter Light Co.
We need more storage and shelving for all his books and lego. A study desk is also on the cards soon. What is your son's favourite part of the room? His Moustache light - my sons adores it and has it on every night. 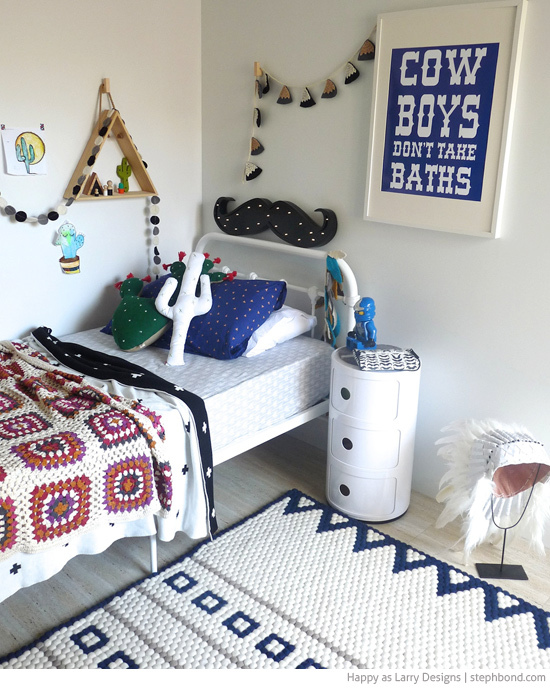 Any tips or tricks that you can share for making a fun boy's room? 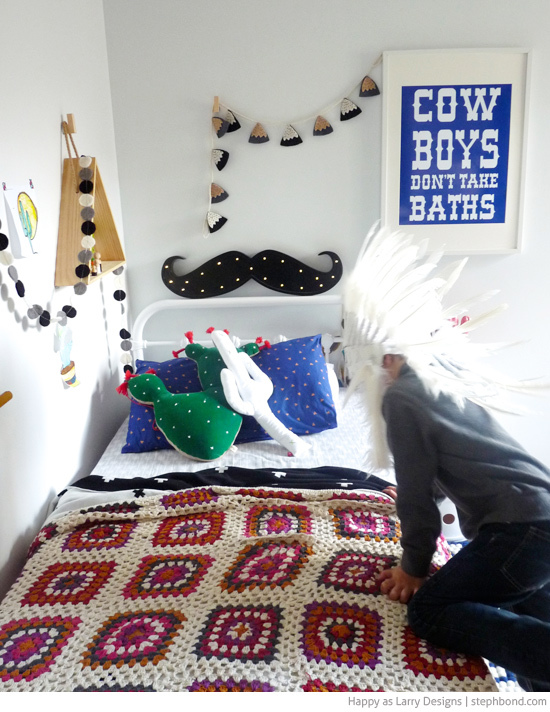 I am always redecorating the boys' rooms - yes its part of my job but is something I love so for me I can't afford to buy designer items all the time. You don't have to buy everything or spend alot of money - make things (or get grandma to) and get the kids involved. You can find some great finds at Kmart and Spotlight. Jump on Instagram and find small businesses that have very reasonable priced homewares. 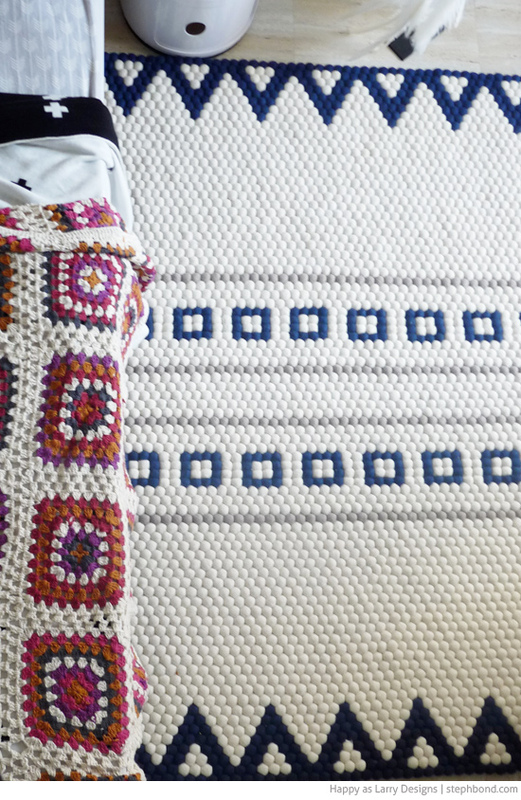 Mix and match sheets/blankets and doonas. Encourage them to create their own artwork. Don't be precious about it - let them blue tac the walls! Its easy to repaint. Thank you so much Amy for sharing Eli's room with us. 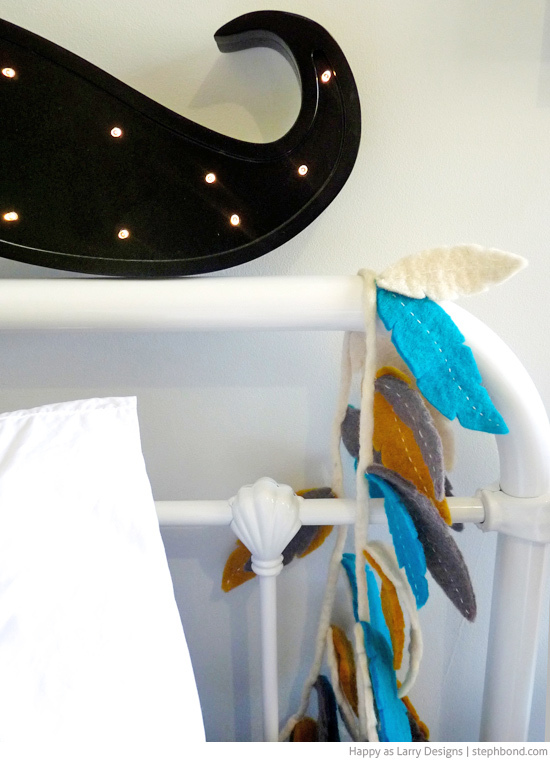 I love Amy's use of textures - crochet, felt, feathers, and chunky cushions contrast with the smooth white surfaces of the bed and side table. Love it! 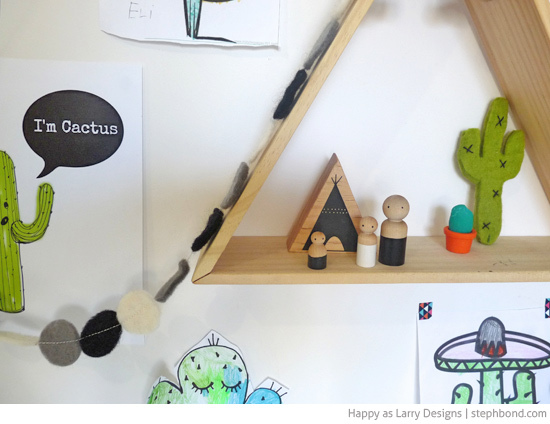 Head here for more great real Australian kids' rooms.